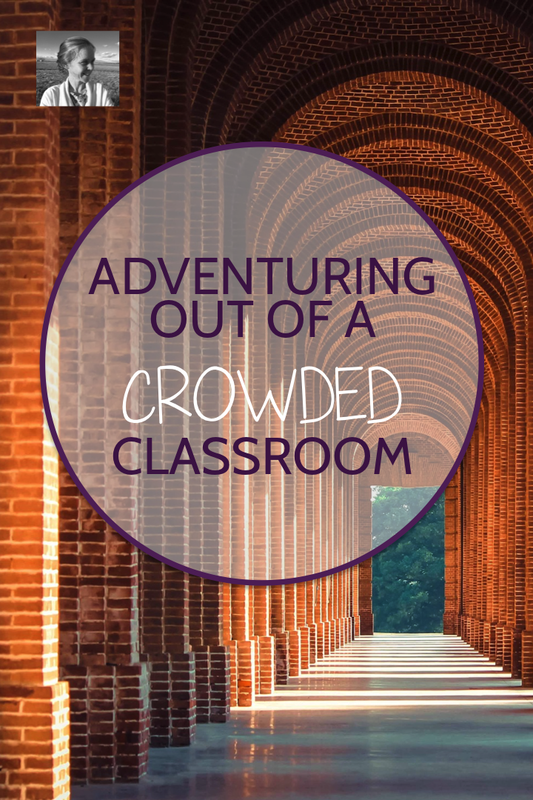 Are you teaching in a crowded space? Where no one quite has room to think by the end of a busy day? Or maybe it just feels constricted sometimes. When your seniors are dying to be somewhere else or your freshmen are exploding with pent-up teenage emotions. 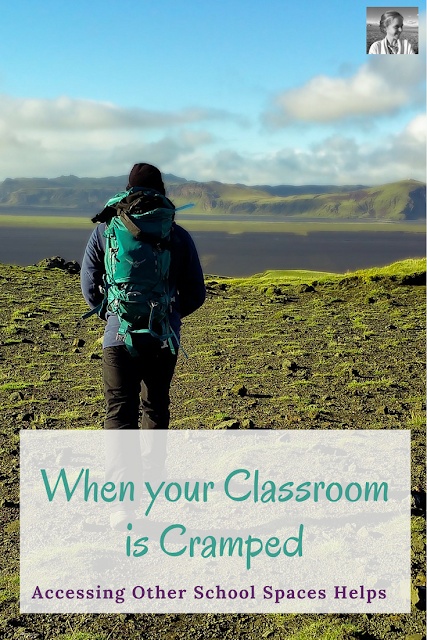 Getting OUT of your classroom regularly can make such a difference. Though I've been lucky enough never to teach in a truly overcrowded classroom, I still like to get my students out of our box (lovingly though I decorate it) pretty often. Here are some options for getting out and about, from the simple to the extravagant. 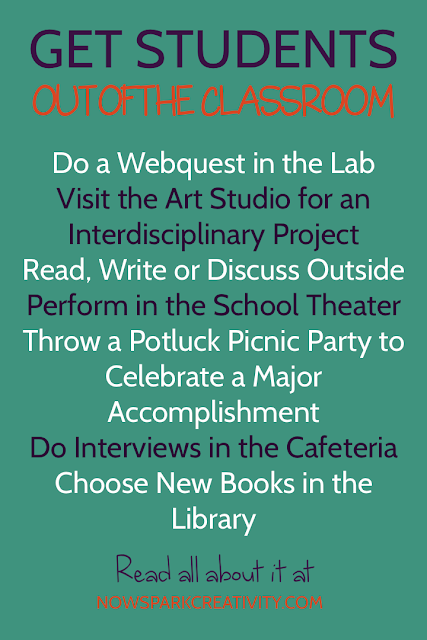 In this post, all the ideas are for activities you can do on your school campus, but I'll dedicate another post to field trip ideas soon. If your school has the option, signing up for the computer lab on a regular basis lends itself to all kinds of activities. You can send students on a webquest about the author you're reading, the era you're studying, or art and music connected to your reading. You can have them watch theater and movie clips related to your text, answering questions as they go, and spending the most time with the clips they like the most. You can have them explore links to different online writing contests and choose one to enter, then spend designated computer lab time throughout the term working on their contest entries. Have students create an artistic character study, highlighting what they understand about a character through painting, sketching, collage, etc. Invite students to explore a theme from a novel, short story collection or poem through art. Perhaps they might create a sculpture, a photo essay, a mural, etc. Have students work on graphic novel memoirs, illustrating a part of their own lives with a combination of words and art. 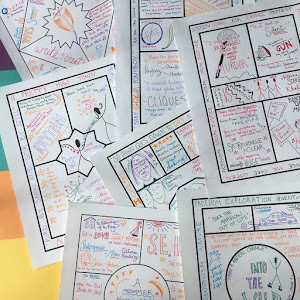 Ask students to prepare an artistic version of their notes before a major test or exam, reviewing their materials and then synthesizing them into a colorful Sketchnotes version. (For more about Sketchnotes, which I LOVE, check out this post I did for teachwriting.org). I vividly remember one day in high school where we got to go outside to work on a writing project. We all split up to sit on the warm sunlit rocks behind the school, writing in our notebooks on some prompt that escapes me now. Taking students outside on a beautiful day can change everyone's experience so much. It's vital to get their buy-in in advance. If they can't stay focused out of doors, it won't work. But if they agree that they'd so much rather be outside that they will make themselves keep it together, this is a wonderful option. You can sit in small groups to discuss the text, work on writing projects in pairs or independently, or act out theater scenes. At one school where I worked, the English department purchased folding seats (like these) so that classes could check them out and go outside for comfortable discussions. It took flexible seating to a whole new level. If you do any independent reading with your students, start a tradition of doing it in a cozy school space. Maybe the library has comfortable chairs, or you could spread out blankets in a lonely hallway filled with sunlight. Maybe there's a lounge area somewhere that's unused during your class period. Ask around. Let your students know that if they enjoy the chance to get out and read in a cozy space instead of in desks, they need to respect your efforts to make it work by reading quietly. I rarely have students do their culminating projects in class. It's so much more exciting for special performances to take place elsewhere. I've had students hold poetry slams and perform theatrical scenes in almost every public area of the school. I often invite groups to select their own locations, then guide them through the process of getting permission to use those spaces. We have fun traveling around the school as a class to watch groups perform in different spaces. 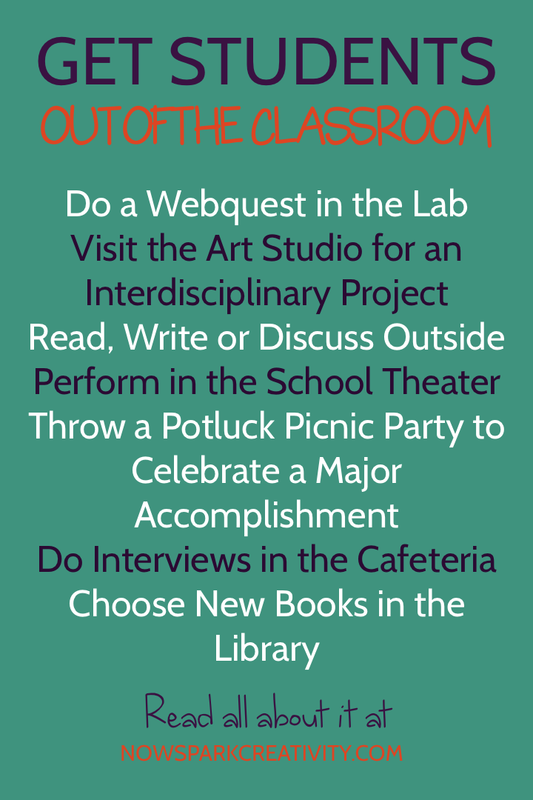 If you're ever in a position to reward your students for good work or for winning a challenge or competition, having a potluck picnic outside is a great way to do so and get out of your classroom too. I held a reading contest between two of my sections once with no prize but an outdoor picnic during class time, and the students read over 10,000 pages in their quest to win. There was literally no grade at all. The picnic made for a wonderful bonding day for us, and the only cost was in brownie ingredients, since I brought dessert but the students brought the rest of the food. Can you think of a way that students can improve your school? Decorate your school? Interview people at your school? Perform for younger students? Bringing your students out of the classroom to interact with the actual school building and its inhabitants is another great way to leave the space. Maybe you'd like students to present on writing strategies to ninth graders, create a hallway display about banned books, or interview administrators about their favorite books. Maybe they could create a school rock garden while you're reading the Transcendentalists, or put poetry for students to read in every bathroom stall. Once you start thinking outside your doors, there are a lot of ways students can make the school a better place. 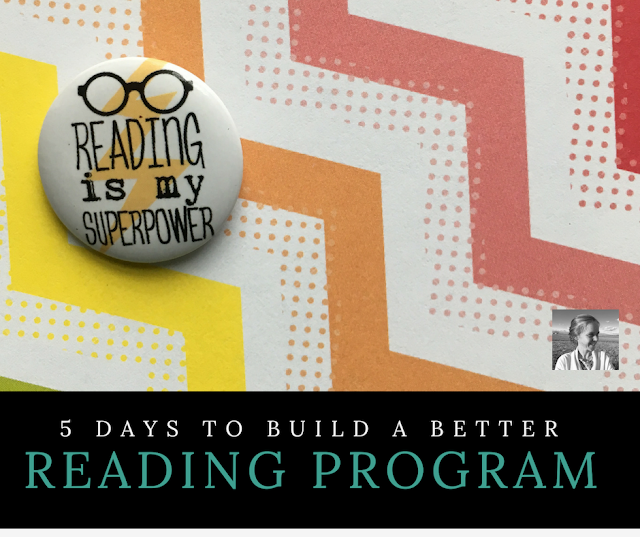 If you've got students doing choice reading, collaborating with your school librarian for some book browsing days is a great option. Ask students to explore the shelves and write down ten titles they might like to read and why. This helps you avoid the problem of having a student choose a book in ten seconds and then talk to friends for the rest of the time. You could also invite students to create booklists for younger students, or help create library displays. Speaking of choice reading, if you'd like a little help developing your program into one of the most fulfilling parts of your work with students, check out my free e-course, 5 Days to Build a Better Reading Program. You'll get five days worth of easy, actionable steps with helpful links and free resources, all delivered straight to your inbox. Just sign up below to get started. While your own classroom is the best place for some things, getting out and about can boost your morale and your students', especially when you're dealing with an overcrowded classroom.